If you want some cooperative options, though, you'll have to pony up some cash, either in-game currency or real-life currency. Players still need to buy the full game (either physically or digitally) in order to gain access to the Prologue and eight Story Mode missions (which also comes with the 25 core characters unlocked). Any challenges or masteries players have unlocked prior to upgrading will carry over seamlessly. If you're looking to unlock specific battleborn, gear packs, boosters, taunts/skins, loadouts/bank pages, or the pretty darn fun Story Ops, you can do it a la carte with either Platinum (premium currency) or Credits (in-game currency earned from playing). Players who purchased the game before Free Trial's launch (June 6th) will receive "Founder's Status." This includes the Founder title, 1 exclusive Founder Loot Pack (with a guaranteed legendary gear), 1000 Platinum currency, 50,000 credit currency, 5 core loot packs, Gold Mellka and Deande skins, and the "Founder's Crown" flair item. Flair items are a new type of gear which have a visual effect on your character. They have a small chance to drop from any loot pack and a 100% chance to drop from the new Magnus Loot Pack (a newly launched loot pack). 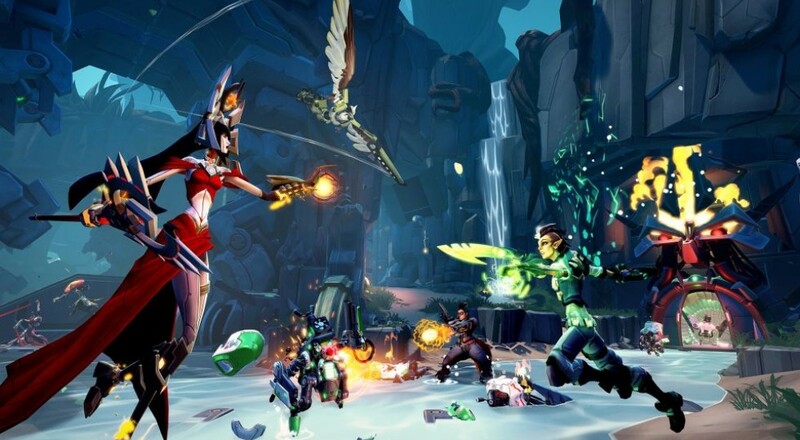 Battleborn's Free Trial is available now on Steam, Xbox One, and PS4 (the Americas). It will be available in Europe and Japan on PS4 on June 13th. To play the Free Trial on PS4 and Xbox One, you will need PS Plus and Xbox Live Gold respectively. While opinions about the game are fairly divisive, we gave the game a Co-Op Score of 4 out of 5.